The Russian automobile market is poised to overtake Germany and become Europe’s largest by 2016, and the world’s fifth biggest, by 2020, according to a new report. A growing middle class, an increase in car ownership, low fuel prices, and Russia’s expanding economy are all factors that will drive the Russian car market, according to a forecast by the Boston Consulting Group. "Fundamentally it’s an attractive market in terms of cars per thousand inhabitants and therefore we are bullish long-term - but that doesn't mean that every year will be a good year," Ewald Kreid, an author of the report and partner at BCG in Vienna, said. Russia’s auto market is slated to grow by an annual rate of six percent through 2020, when annual sales will reach 4.4 automobiles and Russia will become the world’s fifth largest automobile market, by volume of sales. The report forecasts emerging markets will dominate global car sales by 2020, and will account for 65 percent of global sales, more than double in 2000. China, the US, India, and Brazil will occupy the first four places, displacing Japan, which is currently the third largest market. Russia, which was ranked seventh in 2012, will surpass Germany, currently the fifth largest consumer and Europe’s largest economy. Increase in car sales is an indication of Russia’s overall integration into the global economy, as its economy is pegged by the World Bank to grow by 2.2 percent in 2013 and 3 percent in 2014, far ahead of its European counterparts who are struggling to keep their economies from contraction. 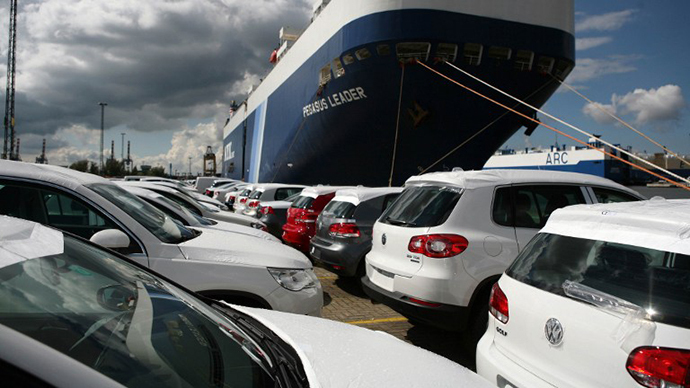 The success of Russia’s auto market is dependent on how quickly the economic situation in Europe stabilizes. German exports have kept their economy shielded from the euro crisis, but Russia may be infringing on this export market. In 2012, the total value of motor vehicles, parts and accessories produced in Russia surpassed Germany by 51 million euro, a five-fold increase since 2000. The market niche is ripe in Russia- presently there are only 290 cars per 1,000 Russians, versus the already saturated market in Europe, where 560 of every 1,000 is a car-owner. 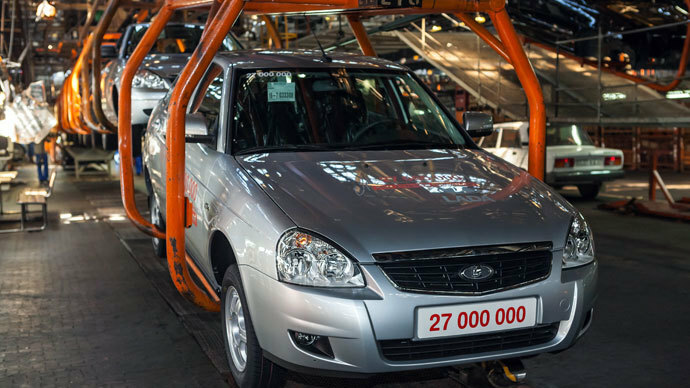 Ford, General Motors, Renault-Nissan, and Fiat have a large presence in Russia, as well as local brands like Lada, which adhere to the demand for small, compact cars. The report said both local and international car makers are expanding, and projects total production capacity to rise to 3.3 million vehicles per year after 2016. The boom isn’t limited to automobiles. 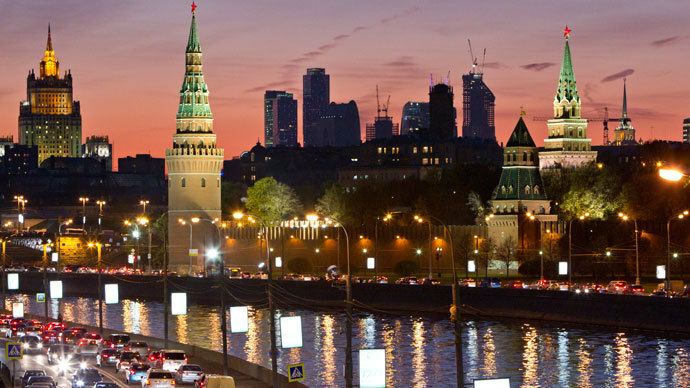 Russia’s expanding economy, over the backdrop of sluggish Europe, is a leader in electronics, toys, and other products. Russia was on track to become Europe’s biggest automobile market by 2008, but it was derailed by the financial crisis, even after the Kremlin pumped $5 billion in stimulus into the industry to provide a buffer. “So far in 2013, Ford has not been performing well in Russia,” Carol Thomas, an analyst with LMC Automotive, which tracks global sales and makes industry predictions, told RIA Novosti. 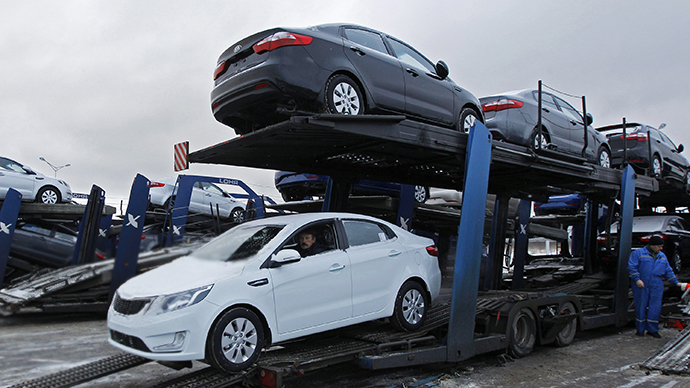 A slump in Western auto sales in Russia may play out through 2013, and will increase in tandem with domestic market strength. Fifty percent of Russia’s GDP is dominated by oil and gas production and export, which provides both a lot of financial liquidity but at the same time fear the wealth could be gone any minute. The financial resources of the Kremlin are abundant, and can prop up the automobile industry in a way no other economy is capable. Russia’s automobile industry directly employs around half a million people, and could be the missing link to transform the Russian economy from a petrol-state into a self-sustaining economy.